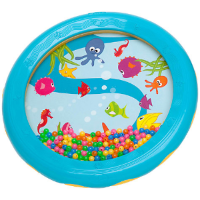 Children will have lots of fun making music as they swirl the colourful beads around the Wave Drum to recreate the sounds and rhythms of the ocean. Pat the drum for a great snare sound or use as a tambourine. A sensory delight at any age! 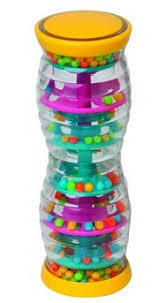 Contains small beads. Use under adult supervision. Beater not supplied.